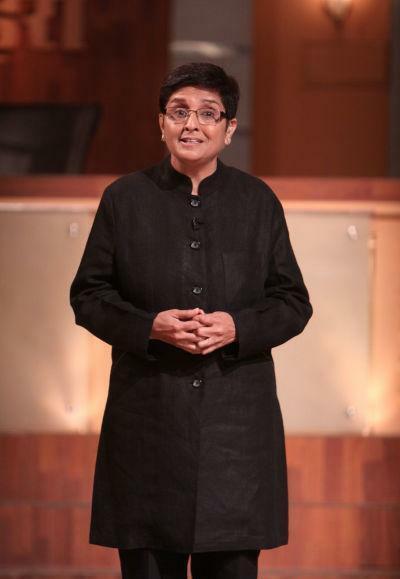 Kiran Bedi was born as Kiran Peshawaria on 9 June 1949 (age 70 years; as in 2019) in Amritsar. Her zodiac sign is Gemini. 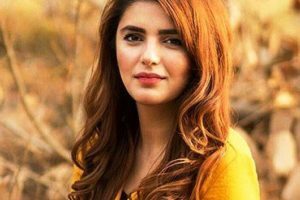 Her family had their origin in Peshawar from where her great-great-grandfather migrated to Amritsar. 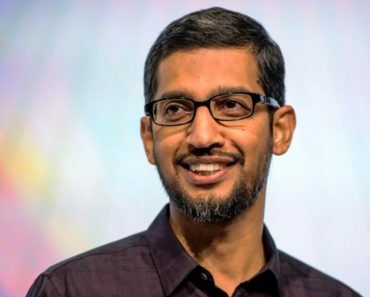 As a child, Kiran was brought up in Hindu and Sikh traditions. Kiran did her schooling from Amritsar’s Sacred Heart Convent School. She got inspired by her father, who was a tennis player and started playing tennis at the age of 9. While she was in school, she joined the National Cadet Corps (NCC) and actively took part in co-curricular activities. She attended Government College for Women to pursue her BA Hons. in English. Later, she enrolled herself in the Panjab University to pursue an M. A. in Political Science. After completing her master’s degree, Bedi worked as a lecturer at the Khalsa College for Women in Amritsar for 2 years. In 1988, she enrolled herself in the Delhi University to complete a degree in Law. 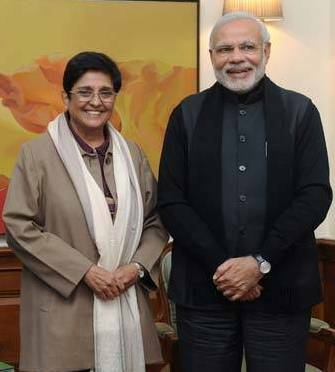 Bedi also attained a PhD in Social Sciences from IIT, Delhi. 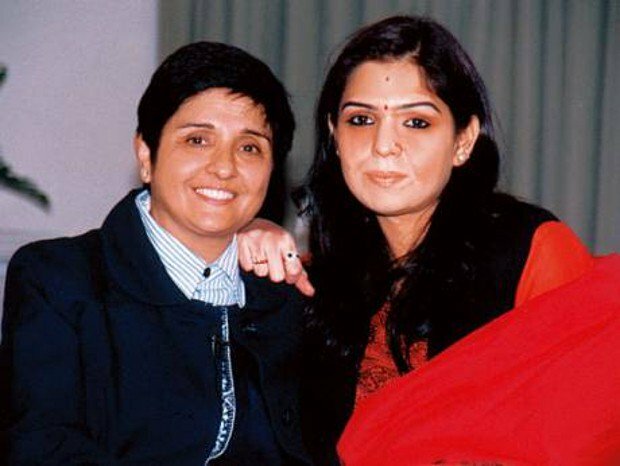 Kiran Bedi belongs to a Hindu Khatri Family. Glossary of the Tribes and Castes of Punjab and North West Frontier Province By Sir Denzil Ibbetson, Maclagan Her father, Prakash Lal Peshawaria, was a Textile Businessman. Her mother’s name is Prem Lata. 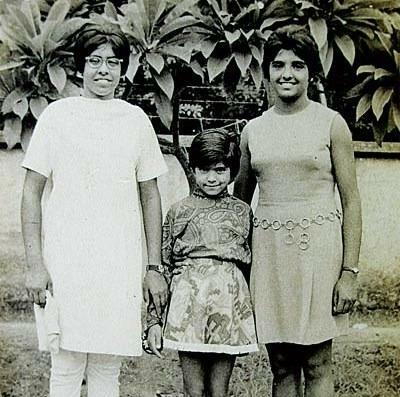 Kiran has 3 sisters, Shashi, Reeta Peshawariya, a tennis player and a writer, and Anu, a tennis player. Kiran got married to Brij Bedi, a tennis player on 9 March 1972. The couple has a daughter, Sukriti (Saina). 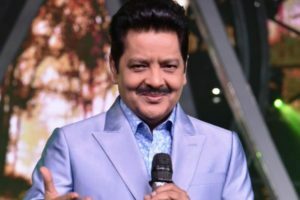 Kiran’s husband, Brij Bedi, died of a cardiac arrest in 2016. 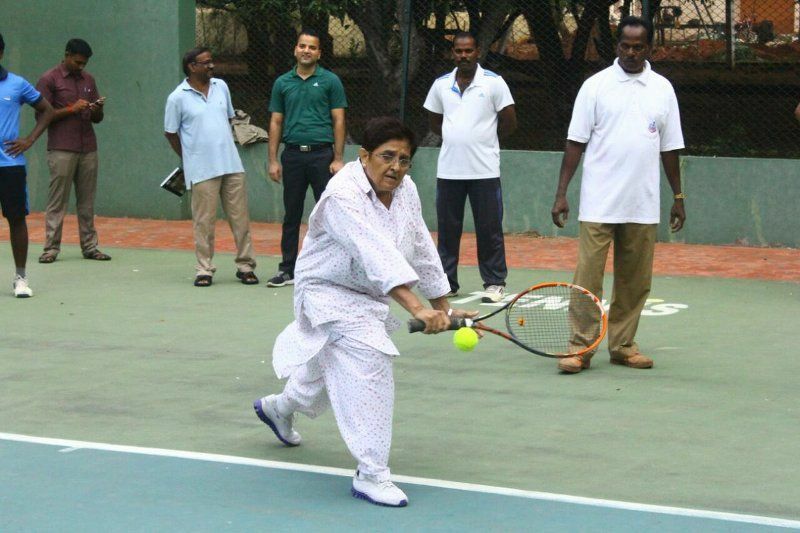 Kiran started her career as a tennis player in 1964 by participating in the national junior lawn tennis championship at Gymkhana in Delhi. 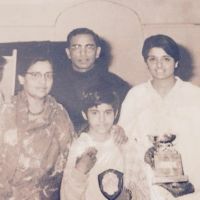 Subsequently, she won several tennis championships including, “Junior National Lawn Tennis Championship” (1966), “All-India Intervarsity Tennis Title” (1968), “Northern India Lawn Tennis Championship” (1970, and “National Women’s Lawn Tennis Championship” (1976). She was also a part of the Indian Team which won the “Lionel Fonseka Memorial Trophy” against Sri Lanka in 1973. 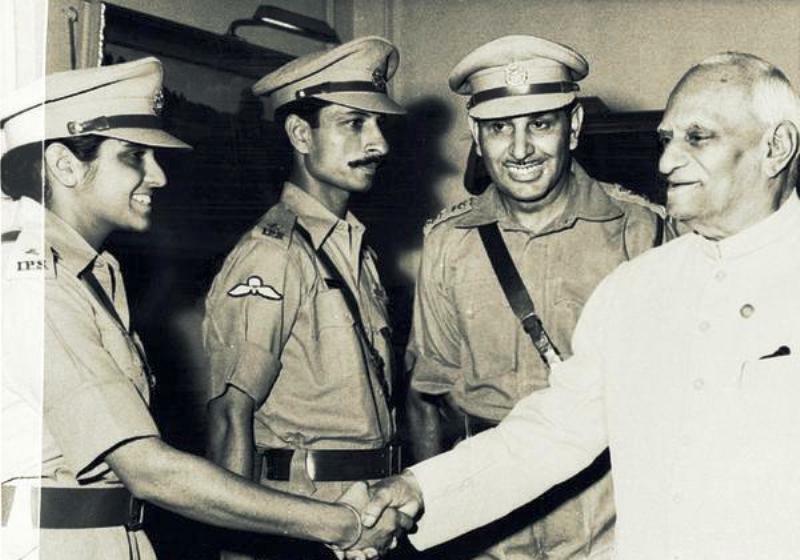 Kiran was inducted into the Indian Police Service in 1972. She started her police training at Mussoorie’s National Academy of Administration. After the foundation course, she further went for the 9 months training at Mount Abu in Rajasthan. She was the only women in the batch of 80 men and was allocated to the AGMUT (Arunachal Pradesh-Goa-Mizoram-Union Territories) cadre. 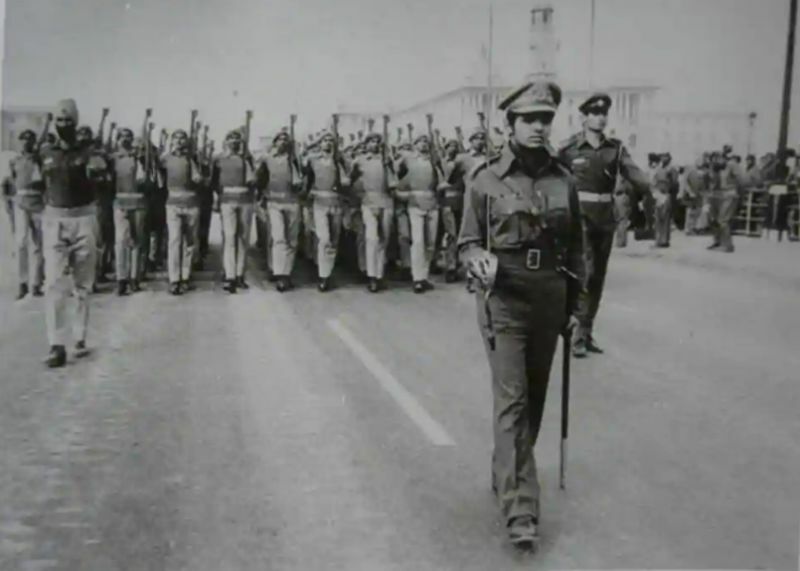 Her first posting was to the Chanakyapuri subdivision of Delhi where she became the first women to lead the all-male contingent of the Delhi Police at the Republic Day Parade in 1975. 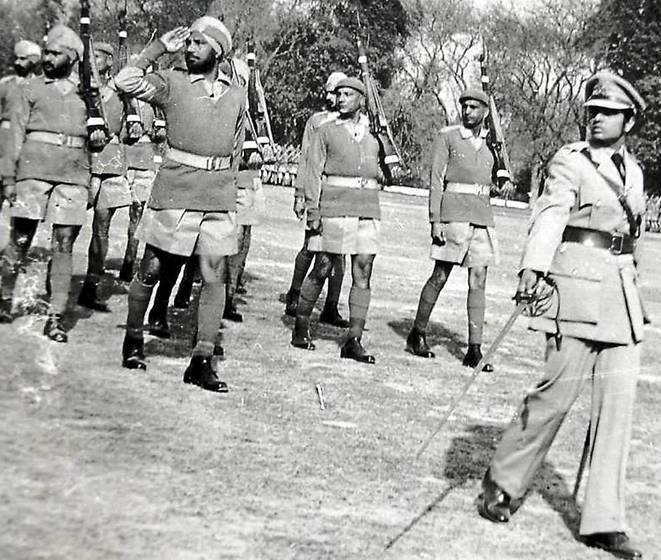 In 1978 there were clashes between the Akali Sikhs and Nirankaris. On 15th November 1978, when a group of Nirankari’s collided with the Akali Sikhs near India Gate in Delhi, Bedi deployed a platoon to stop the protestors and prevent violence. She was honoured with the Police Medal for Gallantry by the Indian President in October 1980. In 1979, Kiran was posted to West District of Delhi and there were not enough officers to control the high volumes of crime. 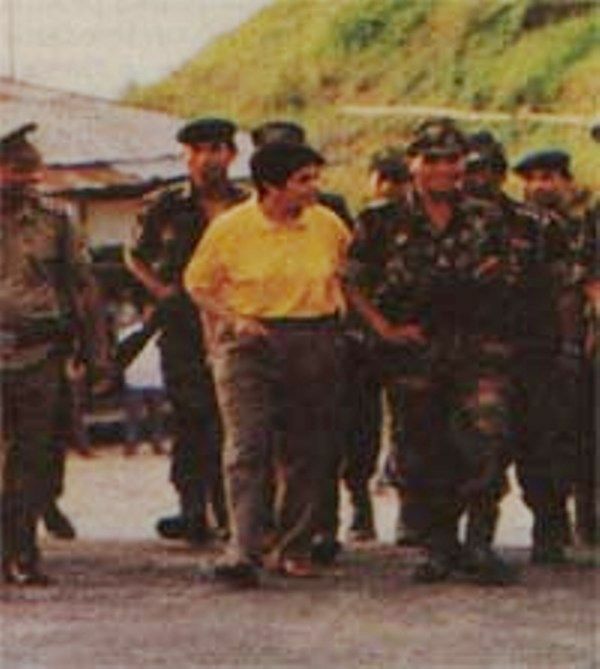 Bedi helped reduce the crime in the district by recruiting civilian volunteers in nearby villages, running night patrolling by the civilians and armed policemen, installing the complaint boxes in all the wards, and implementing an open door policy to allow citizens to reach her directly for any complaint. 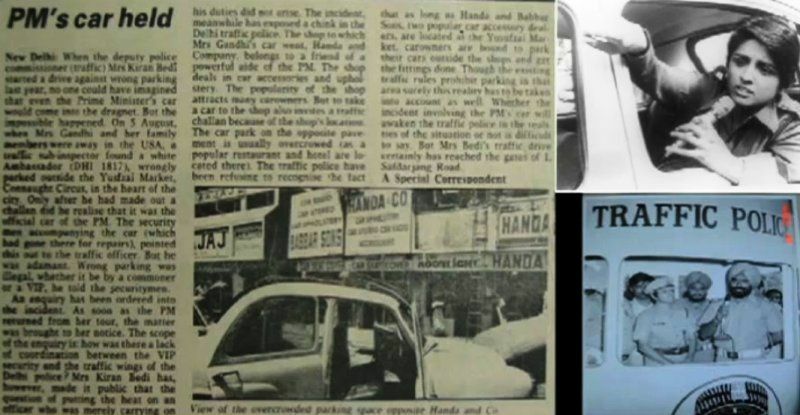 In October 1981, when Kiran was made the DCP (Traffic) of Delhi, she skillfully handled the traffic crises which was caused by the 1982 Asian Games. She coordinated with the Delhi Electric Supply Undertaking, Municipal Corporation, and Development Authority of Delhi to ensure the smooth flow of traffic. Bedi also introduced policies like replacing challans with spot fines for erratic motorists and towing of the improperly parked vehicles. Bedi arranged a fund for traffic guidance materials and educational material worth ₹3,500,000 with the help of sponsors. She introduced four wheelers for the first time to the inspectors working in the traffic unit of the Delhi Police. 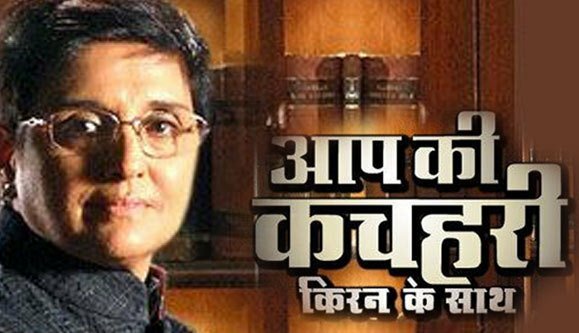 Kiran acquired the name ‘Crane Bedi’ during her tenure for her unbiased implementation of traffic laws and towing away the then Prime Minister, Indra Gandhi’s, ambassador car for a parking violation. In 1983, she was transferred to Goa for a term of 3 years. 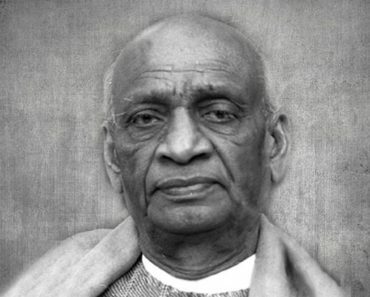 It is believed that some senior officers including Indira Gandhi’s aides R. K. Dhawan and Yashpal Kapoor were behind her transfer. 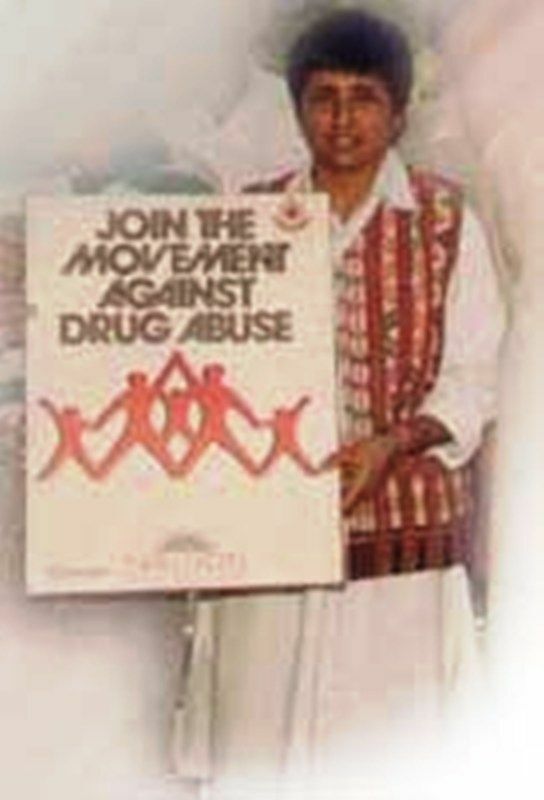 In 1986, while she was serving as the DCP of the North District of Delhi, she initiated many detox centres to overcome the drug menace. 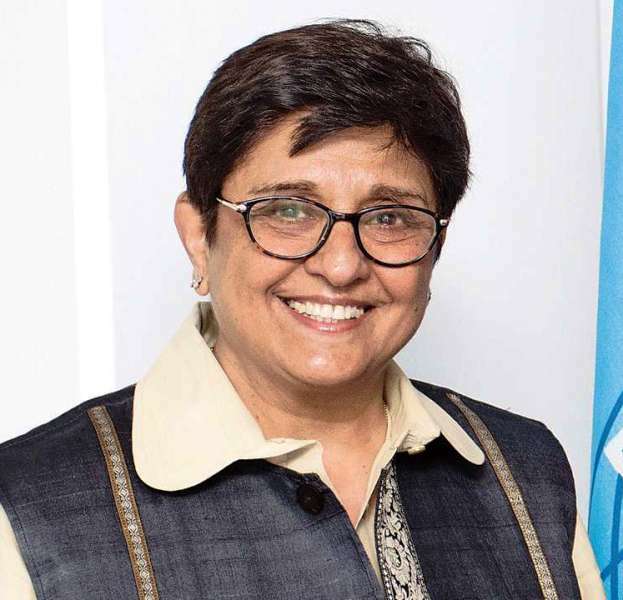 Before she was transferred to a new post, Bedi, along with a few police officers institutionalized the detox centres as “Navjyoti Police Foundation for Correction, De-addiction and Rehabilitation” and became the General Secretary of the foundation. In 1980, she attracted the ire of the lawyers when she ordered to strike lathi-charge at lawyers and further handcuffed a lawyer, Rajesh Agnihotri, which further enraged the lawyers. 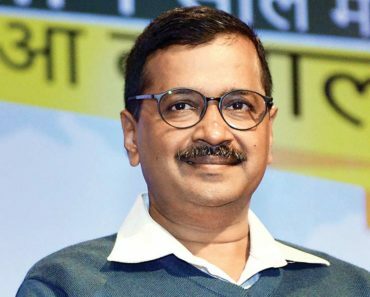 Following which the lawyers organised a strike and as a result, the Delhi High Court constituted the Wadhwa Commission to investigate the matter. 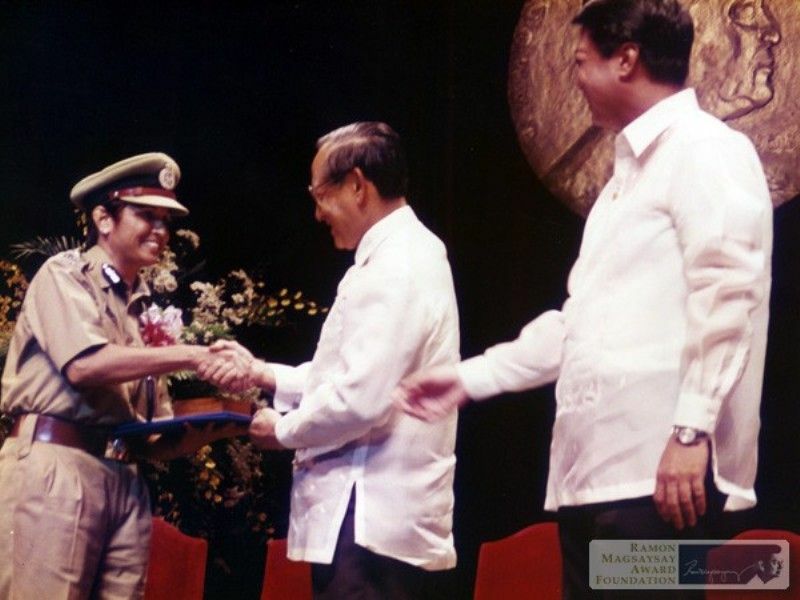 Kiran was transferred to Mizoram as the Deputy Inspector General (Range) after the Wadhwa Commission censured her. 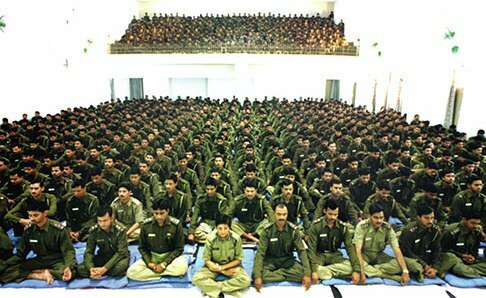 In 1993, While Bedi was appointed as the Inspector General (IG) to the Delhi Prisons, she introduced various reforms to the Tihar Jail including Vipassana and Yoga sessions in the prison, and vocational training for prisoners. She has been awarded “Ramon Magsaysay Award” and the “Jawaharlal Nehru Fellowship” for bringing these improvements. 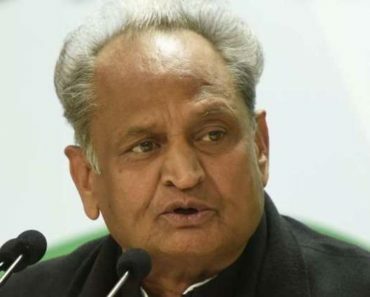 Kiran entered the politics in 2015 after joining the Bharatiya Janata Party (BJP). 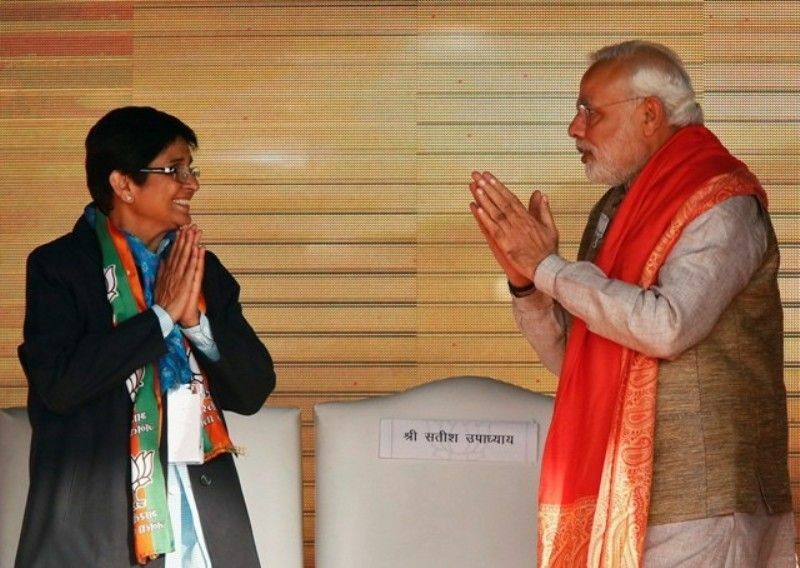 After joining the party, she was projected as BJP’s Chief Minister candidate for the 2015 Delhi Assembly elections. She, however, lost the election to the AAP candidate, SK Bagga, by a margin of 2277 votes from the Krishna Nagar constituency. On 22 May 2016, Bedi was appointed as the Lieutenant Governor of Puducherry. In 1983, while Kiran was serving as the SP of Goa, she attracted controversy by informally inaugurating the Zauri Bridge for the public. This informal inauguration irked many politicians. Kiran also fell into the controversy when she went on leave to look after her ailing daughter, Sukriti. 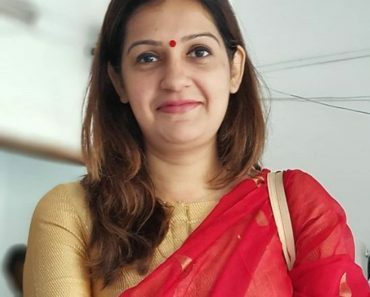 Although she applied for a leave which was recommended by the Inspector General of Police (IGP) but the leave was not officially sanctioned by the government of Goa. Pratapsingh Rane, the Chief Minister of Goa also declared her absconding and absent without leave. 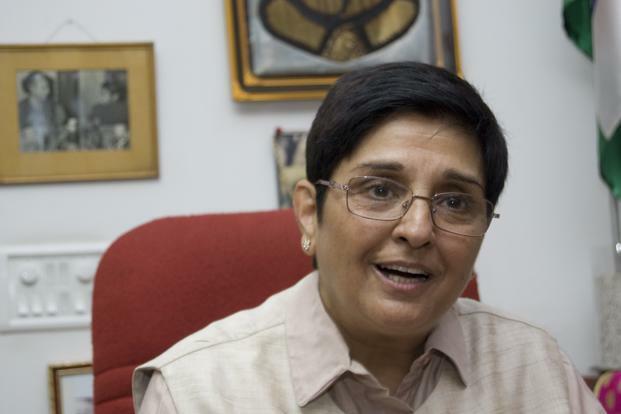 Bedi was condemned for ordering a lathi charge on the Bharatiya Janata Party (BJP) assembly at the Red Fort. In 1988, Kiran had a clash with the lawyers of Delhi as she produced a person named Rajesh Agnihotri handcuffed in the court. 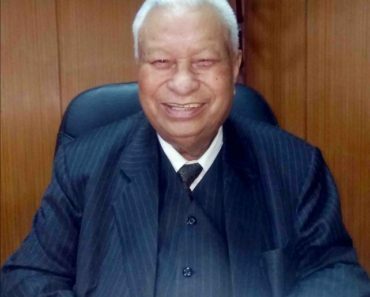 The person was later recognised as a lawyer practising at the Tis Hazari Court. Kiran then had to face the wrath of the lawyers as a lawyer couldn’t be handcuffed even if he was involved in a serious crime. In 1992, Kiran again attracted controversy when her daughter, Sukriti, applied for a seat in the Lady Hardinge Medical College, Delhi, under a quota for Mizoram residents. The students of Mizoram then started a protest against the allocation on the pretext that she was a non-Mizo. Later, Bedi had to leave Mizoram for this reason. While Bedi was working as the Inspector General (IG) of Tihar Jail, her superiors accused her of diminishing prison’s security for her personal glory. In 1993, The Supreme Court of India warned her for ignoring its directives for giving medical attention to an under-trial prisoner. 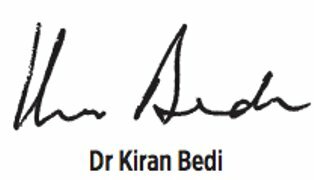 In 1994, Kiran faced the envy from the Delhi Government when Bedi was invited to the National Prayer Breakfast in Washington, D.C by the US President, Bill Clinton. Delhi Government refused her to accept the invitation. In 1995, she was again invited by Bill Clinton and the Delhi Government again refused her to accept the invitation. It was then, that she published a newsletter in the New York Times; criticising some of her superiors for inculcating jealousy for her meteoric rise in the governance. Kiran was condemned for providing a typewriter to the notorious criminal, Charles Sobhraj, who was imprisoned at the Tihar Jail. As per the jail’s manual, a typewriter is included in the list of the prohibited items. On 26 November 2011, a case was registered against her in the crime branch of the Delhi Police for improper use of funds meant for the NGOs. 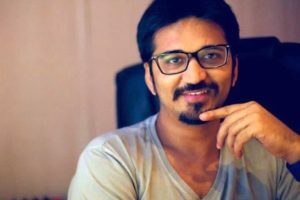 The case was registered based on the complaint filed by a Delhi-based lawyer, Devinder Singh Chauhan. Bedi owns movable assets worth ₹2.5 Crore (approx.) which include a bank balance of ₹2.5 Crore approximately and a pair of earrings weighing 5 gm; worth ₹27 thousand. 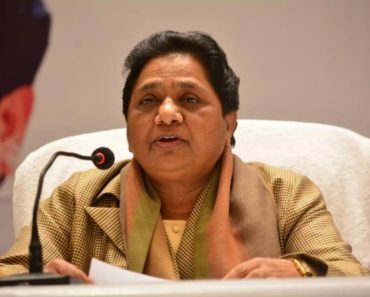 Her immovable assets include a 4.76 acre agricultural land worth more than ₹1 Crore in Village Mirawadi, Taluka Daund Distt. Pune, Maharashtra, 2-acre agricultural land worth more than ₹50 lakh at Village Siwana, Sub Distt. Bhondsi, Gurgaon, Haryana, one 5113 sq.ft industrial plot worth more than ₹30 lakh at Industrial Development Colony, Amritsar, 1938 sq.ft residential flat worth more than ₹4 Crore (First Floor, 56, Uday Park, New Delhi), 1414 sq.ft residential flat worth more than ₹1 Crore (Flat No.301, Janki Co-op Group Housing Society, Plot No.7, Sector-22, Dwarka, New Delhi), and a 3229 sq.ft residential flat worth more than ₹1 Crore (F-07, Plot No.01, P-7, Builders Area Greater Noida Dist. Gautam Budh Nagar, Uttar Pradesh. Her net worth is estimated to be ₹11 Crore (as in 2014). 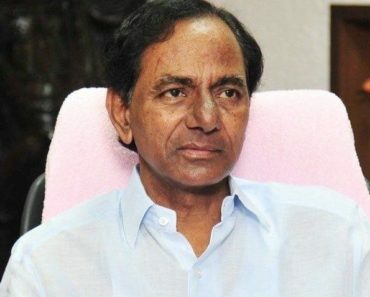 She earns a salary of ₹3.5 lakh (as in 2018) as the Governor of Puducherry. Her hobbies include playing Lawn Tennis, photography, travelling, reading, and writing. 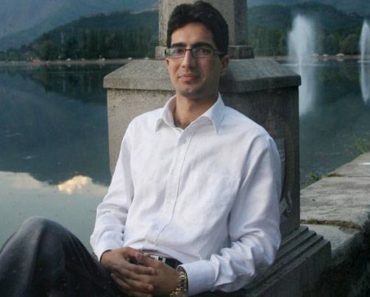 Kiran was inspired by the civil servants at the Amritsar’s Service Club to join the Indian Civil Services. 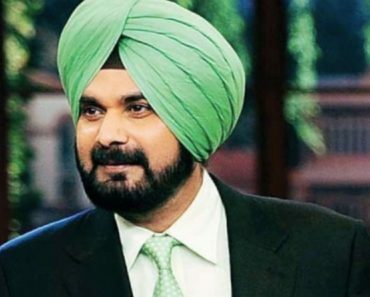 She even met her future husband, Raj Bedi, at the service club in Amritsar. 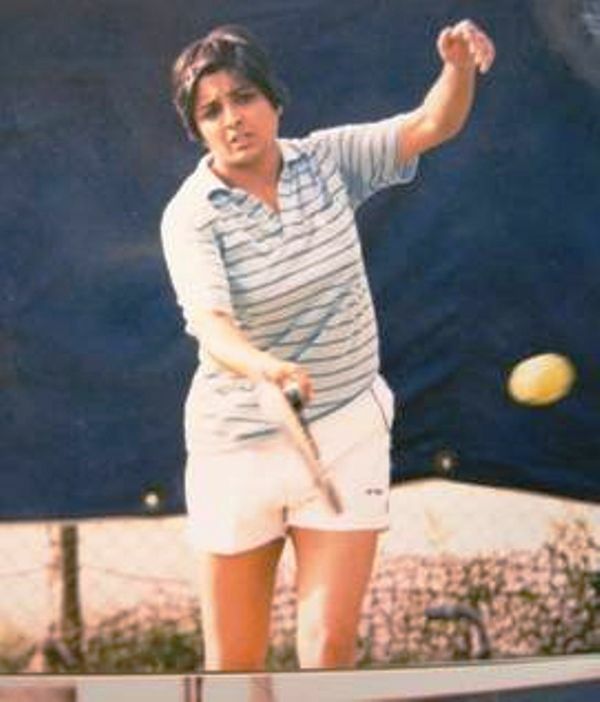 Tennis is said to be the reason behind Bedi’s short hair. According to her, the long hair didn’t feel comfortable while playing the sport. Bedi was offered “Asian Jyoti” for meticulously managing the traffic during the Asian Games, but, she refused to take the award and asked the authorities to present the award to the entire traffic police unit. While Kiran was working as the SP of the traffic department of Goa, her 7-year-old daughter, who had been suffering from the Nephritic Syndrome since the age of three, was seriously ill. At that time, Kiran took the privilege leave for the first time in her decade-long career to look after her daughter who was undergoing treatment at the AIIMS in Delhi. While Bedi was placed as the Deputy Inspector General in Mizoram, she completed a major part of her PhD. She even started penning-down her autobiography. Her Vision Foundation, which was established with the purpose of Police and Prison reforms in 1994 has been awarded the “Serge Soitiroff Memorial Award” by the United Nations. 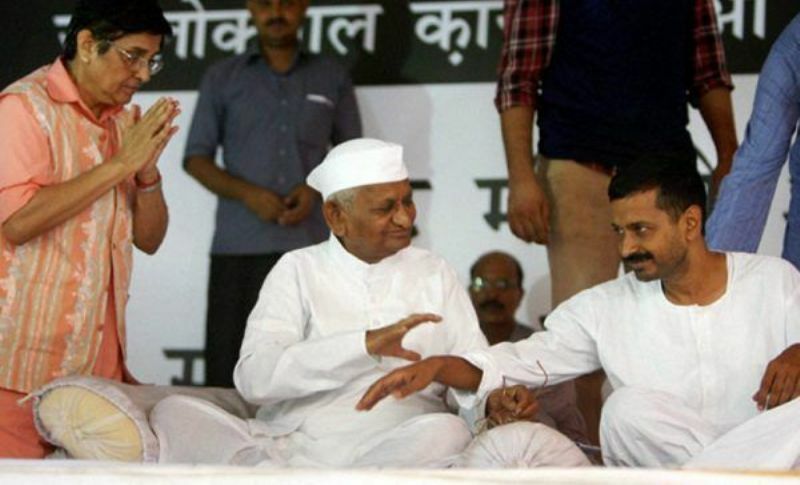 Bedi was one of the founders of the IAC (India Against Corruption) along with Arvind Kejriwal and Anna Hazare. Kiran is counted among the police officers who have taken a very few leaves during their tenure. She owns a Maruti 800 Model 1985 with the Regn. No. DBB239. Bedi resides at 56, First Floor, Uday Park, New Delhi. In 2008, she hosted the court show “Aap Ki Kacheri” which was based on the real-life disputes of the public.